Local manufacturing boss Tim Parkinson is backing a new West Yorkshire school which focuses on the sector – and has called for more to be done to encourage young people into engineering. 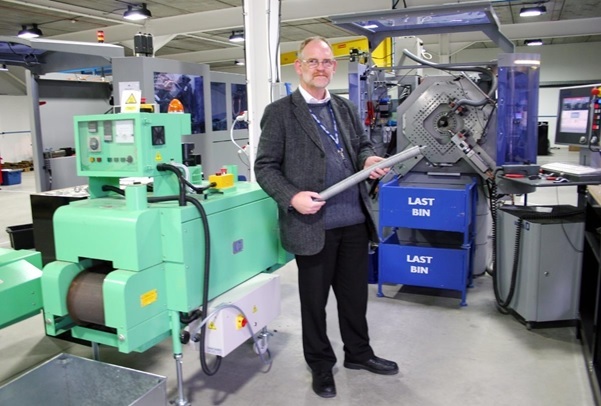 Mr Parkinson, chairman of family-run Airedale Springs in Haworth, has urged youngsters to consider careers in manufacturing and engineering in order to safeguard the future of the sector in the region. His call follows a recent report showing that 84 per cent of manufacturers believe not enough is being done to make manufacturing an attractive career choice. Airedale Springs is partnering with a new kind of school for 14 to 18 year old’s set to open in Leeds in September. The UTC, which is targeting teenage girls to make up at least 30 per cent of its student intake, will be in the west wing of the Braime Pressings factory on Hunslet Road. Airedale Springs, which celebrated its 70th anniversary last year, operates from a £3.5 million purpose-built factory constructed after its previous base was destroyed by fire in 2010. The firm, which has more than 30 employees supports the Advanced Manufacturing and Engineering Centre of Excellence at the Keighley campus of Leeds City College, run as a partnership between employers, Bradford Council and Oakbank School, which aims to produce the next generation of engineers.